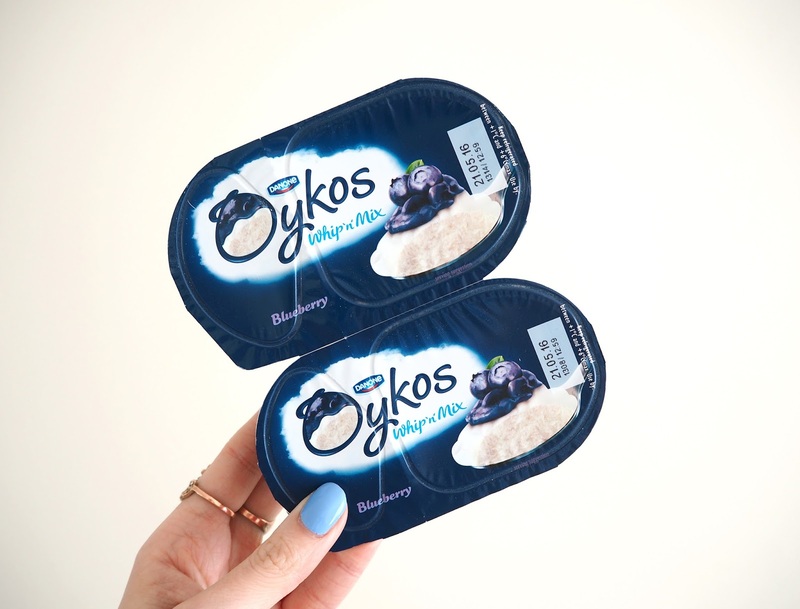 Oykos recently launched launched Oykos: Whip & Mix Yogurt which is an airy, light, fluffy mousse paired with a rich, fruity compote. They were kind enough to send me some samples of their blueberry flavoured yogurts along with some blueberry scented spa products to go with it. I thought I would talk you through what I got! Blueberry Scented Reed Diffuser | Reed diffusers are such a convenient fuss free way of fragrancing your home as you don't need to light a flame or remember to switch it on. This one is by a company called Bolsius Aromatic. I have these in my downstairs hallway so the scent is there to welcome people in through the door and the fragrance is so magnificent it even filters through to the living room. It's really strong of blueberry and slightly sweet, but I don't find it artificial or sickly. It's said to last up to 6 weeks but my experience with reeds is they usually last much longer, they fragrance just slowly starts to weaken. 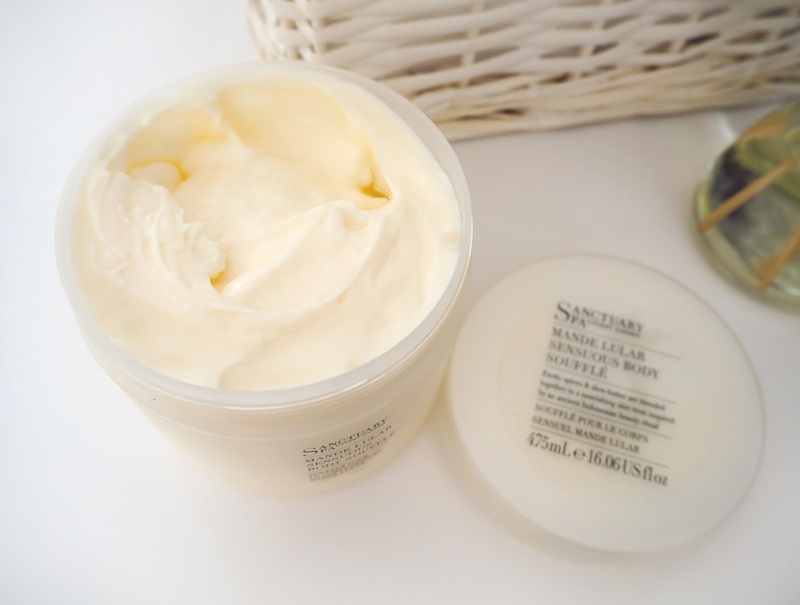 Sanctuary Body Soufflé | I already love Sanctuary Spa products so was really happy to see this product included in the package. This body soufflé I haven't actually tried before. If you're familiar with Sanctuary's signature body fragrances (with the orange lids) with exotic spices and Shea butter then you'll love this because it's very similar. It's super moisturising, sinking into the skin and feels very indulgent. 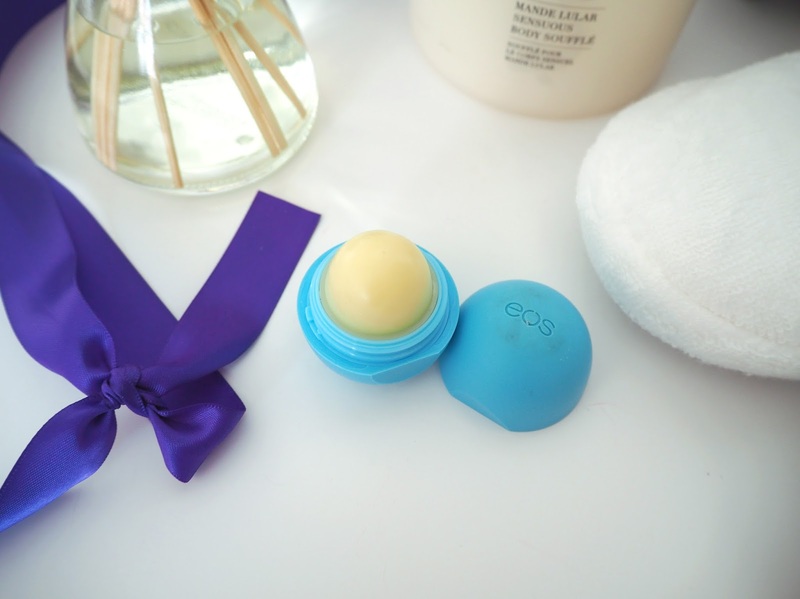 EOS Blueberry Lip Balm | A brand I've never tried before. EOS stands for Evolution Of Smooth. The packaging is really cute in the spherical shape. At first I thought it tasted a little artificial but after a couple of uses its grown on me and I'm using it a lot now. Blueberry perhaps wouldn't of been my first choice of lip balm flavour but it goes with the theme! They do have passion fruit and some red berry flavours which sound tempting as well as body lotions. 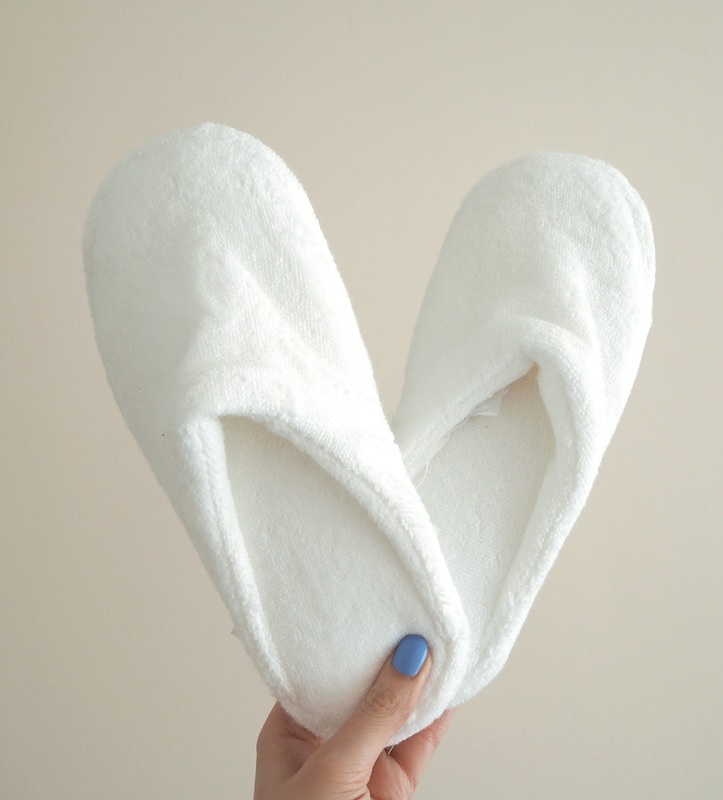 White Company Slippers | I love these slippers they're just so soft! I'm thinking of keeping them in my travel bag for going away and spa days. Oykos Blueberry Whip n Mix Yogurt | These yogurts are really yummy! I was impressed actually because I'm usually not that fussed when it comes to yogurts. There is just one type that I like and it has to be in strawberry flavour! However I think it's the mousse texture in this that won me over, it's feathery light. I'm going to look out for the other flavours now, I believe they do strawberry & cherry! This post is in collaboration with Oykos Whip n Mix. All opinions are my own. 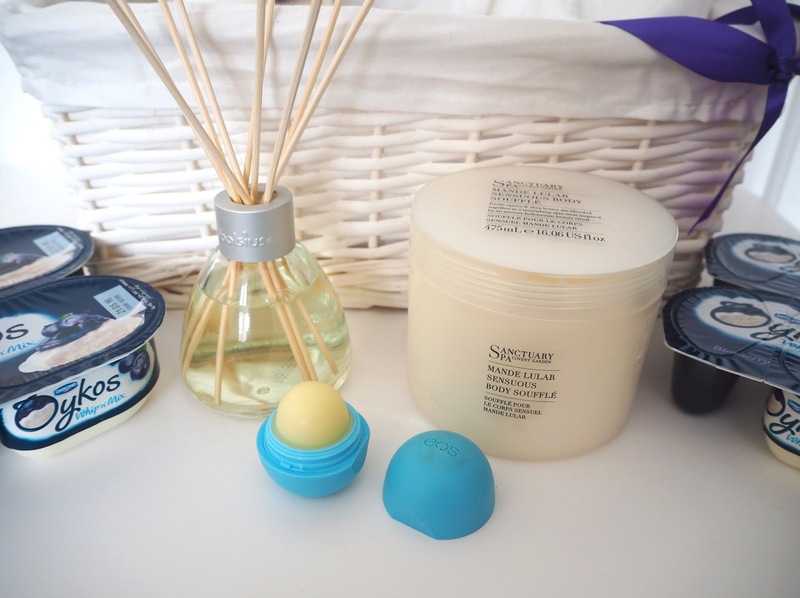 Have you tried any of these products before? If so leave your thoughts in the comments below.